This is basic tamil typing keyboard. Users can type words in Tamil . App also provides facility to copy and paste it wherever they wanted in Windows Phone 8. 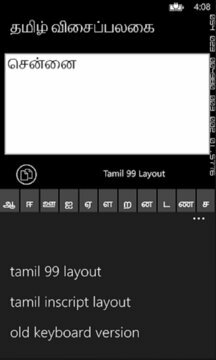 We have updated Tamil 99 and Tamil Inscript Layout in this version.